The following sound recording is taken from a tape recorded interview from 1980. John Renick (with Australian accent) is heard talking with his 83 year old grandmother, the late Marion Hooven Renick Hallowell. This 8 minute 59 second excerpt details her memories of “the big flood,” including how the Hoovens’ cook baked bread and distributed this to neighbors, and how Marion carried around the neighborhood a partial keg of whiskey, boosting the neighbors’ spirits. 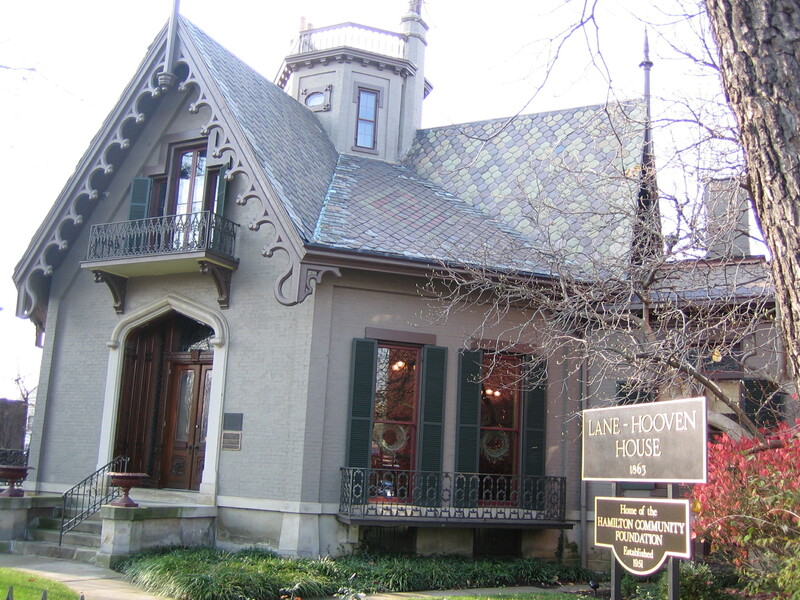 At the time of the 1913 flood, Marion was 16½ years old, and lived in the Lane Hooven House located at 319 North Third Street, Hamilton, Ohio 45011 (pictured, above). Her father, Earle Hooven, a son of John C. Hooven, was president of the Hooven Automatic Typewriter Company. Thanks to John Renick, for his generosity in loaning this tape, and to Aaron Renner at Miami University Hamilton for digitizing the recording. (Click link below to listen).